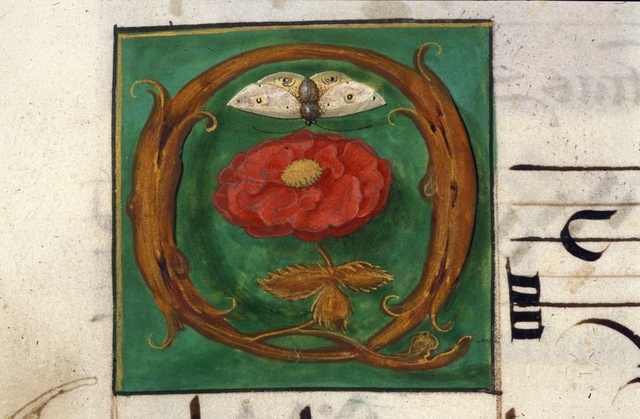 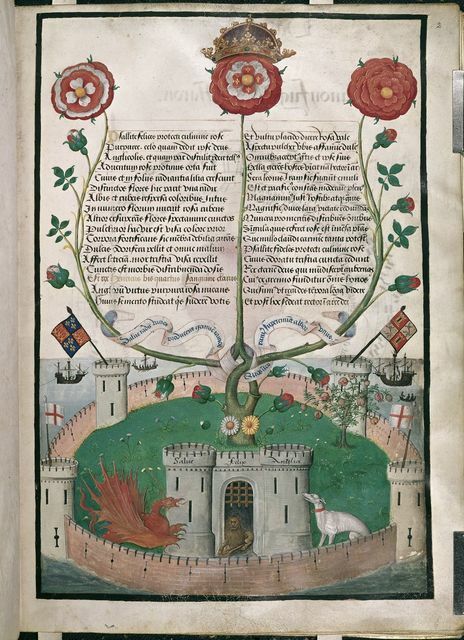 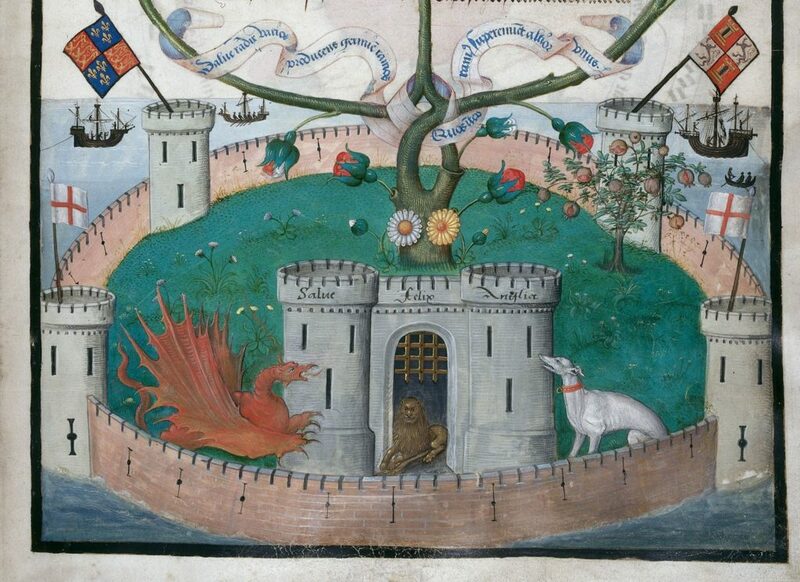 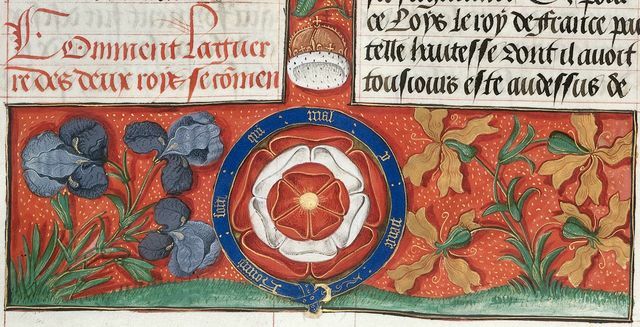 Detail of an allegorical miniature of a bush of the Tudor rose incorporating a Latin poem celebrating the House of Tudor, with a scroll reading 'Salve, radix varios producens germine ramos, / Quos inter ramus supereminet altior unus', with daisies for Henry VIII's sister Margaret of Scotland, and marigolds for his another sister, Mary of France, and a pomegranate bush for his wife, Katherine of Aragon, enclosed within a walled garden with tours surmounted by banners of the royal arms of England, George, and Castile, and a gateway with a lion, flanked by a red dragon and a white greyhound, and inscribed with words 'salve felix Anglia'. 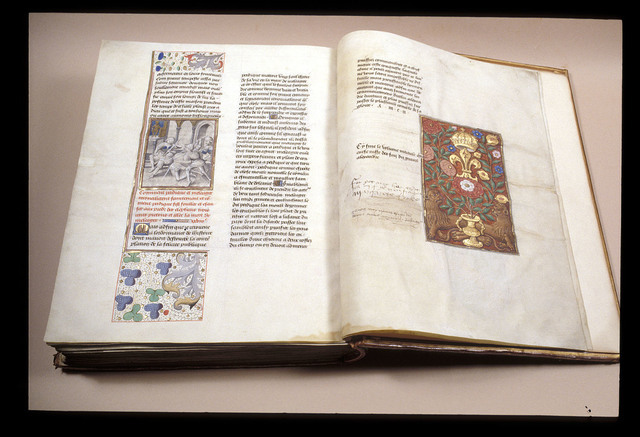 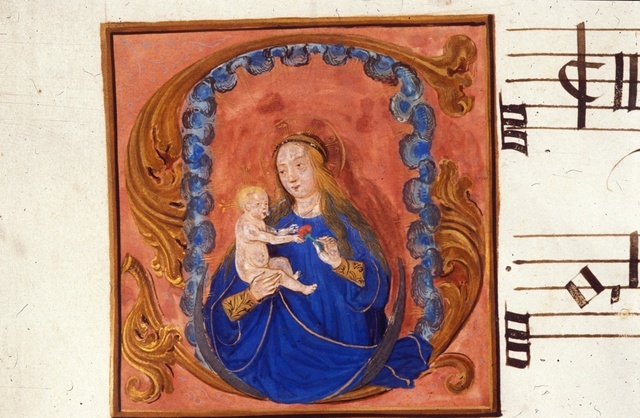 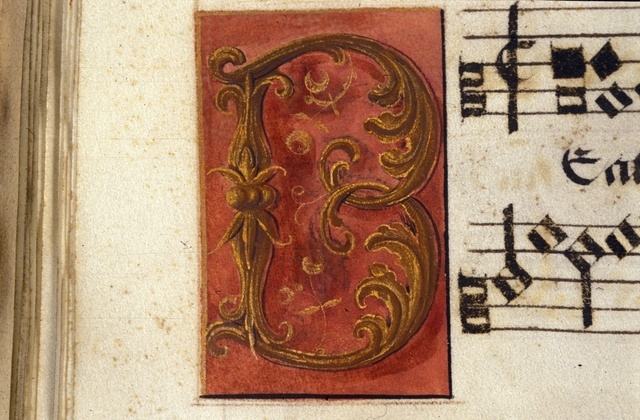 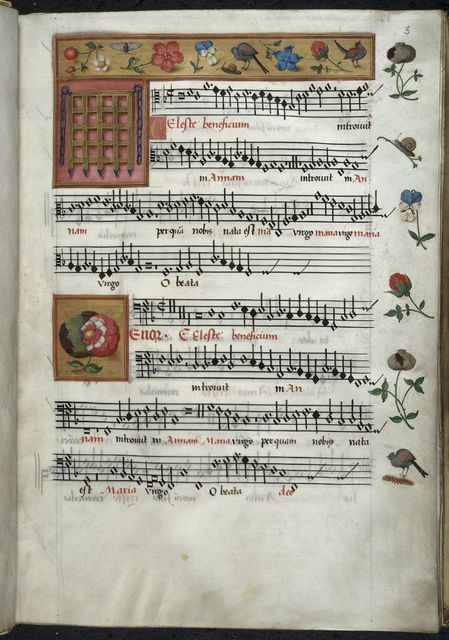 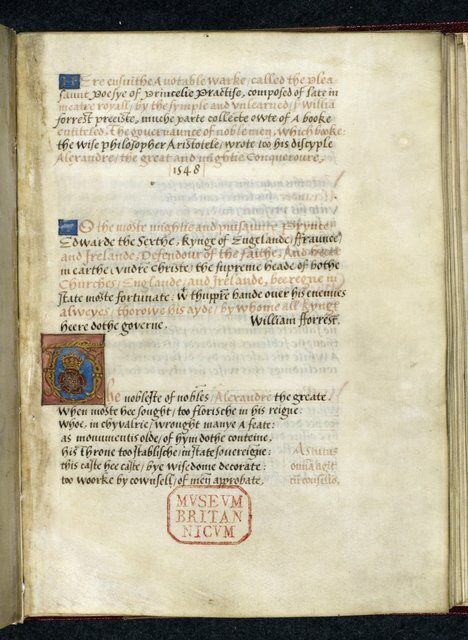 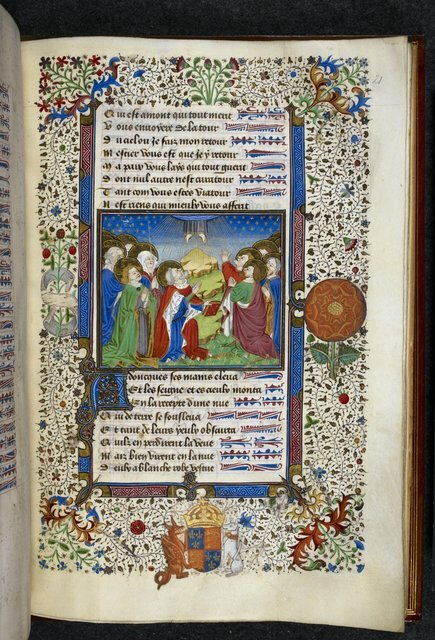 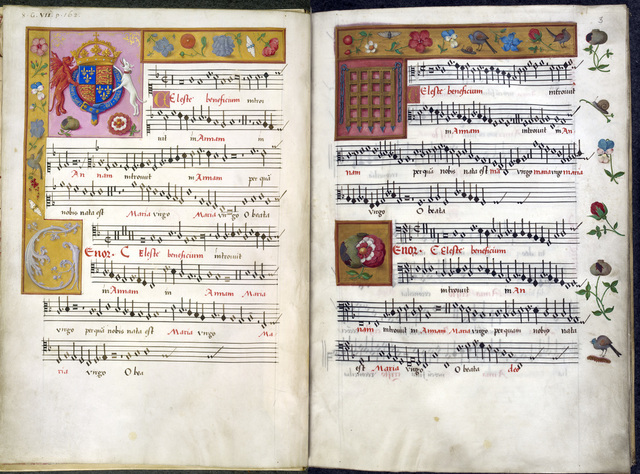 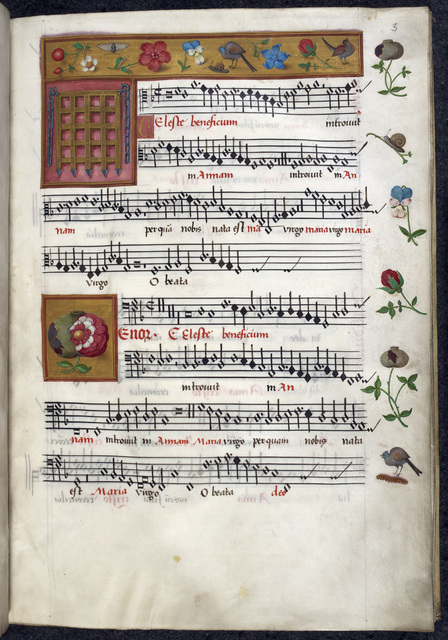 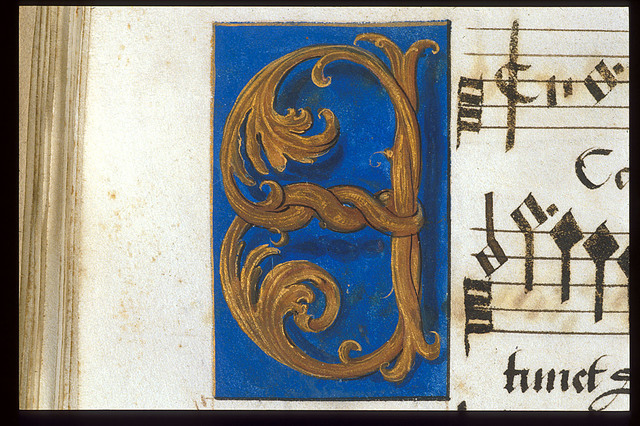 Image taken from f. 2 of Motets. 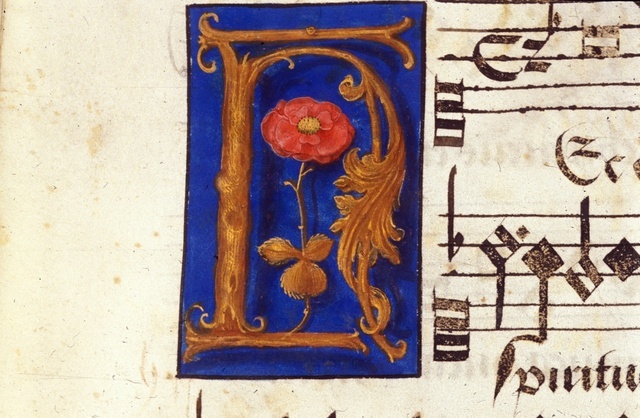 Written in Latin.